'Potato Palooza' is off to a delicious start in Boise! The newly renovated Albertson's on Broadway is the temporary home to the Big Idaho Potato truck. 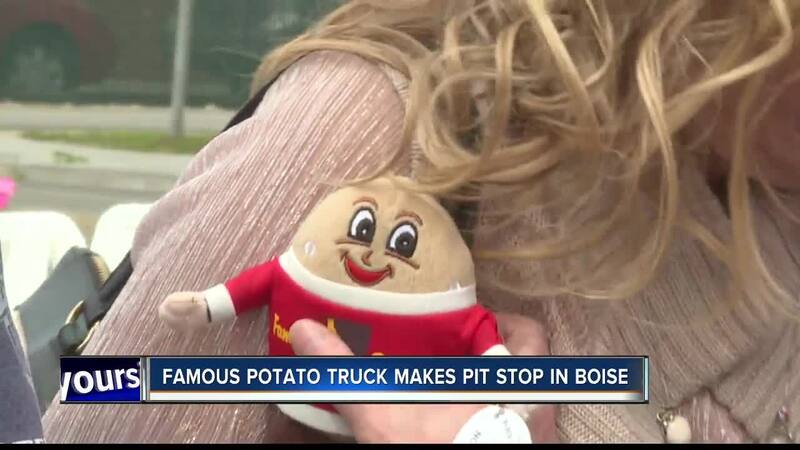 The Tater Twins and Miss Idaho posed for pictures with potato lovers by the truck. For every 5 pound bag of potatoes purchased, the Idaho Potato Commission donates a bag to the Foodbank. Even Dr. Potato stopped by the festivities to share his beloved potato cooking tips.